We talk growing up surfing in two wetsuits and washing up gloves, Scandanavian slabs & what lurks in the world's remaining unexplored cold frontiers. We catch up with Freddie Meadows, Scandinavia’s premiere heavy wave explorer. Freddie, you originally hail from Sweden, did you spend your whole childhood there? I was lucky enough to have had quite a varied upbringing… My mother is Swedish and my father is British, both love to travel and ended up incorporating travelling into their professions so with that being said – my brother and I were brought up in between Åhus in southern Sweden, London and the rest abroad. I call Sweden home and spend most of my time here in Scandinavia. What’s it like growing up as surfer in Sweden? 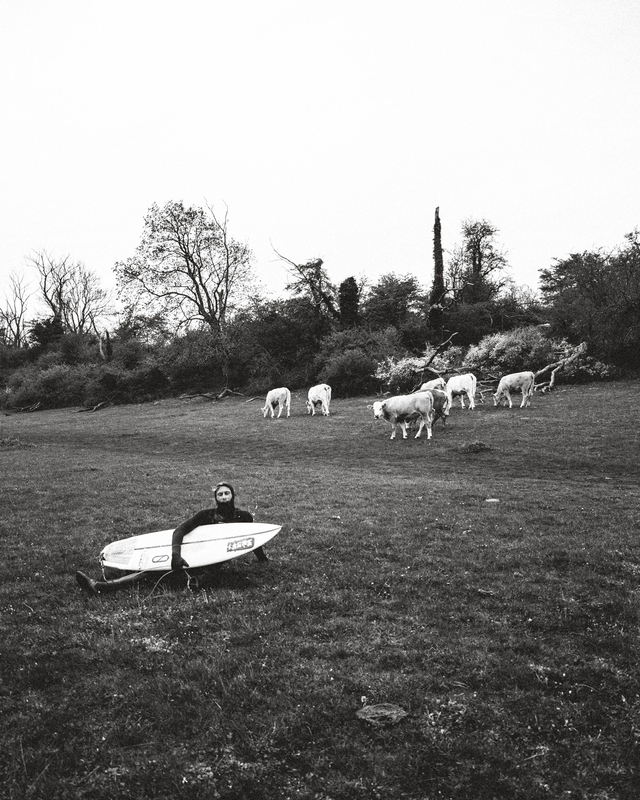 How has the surf culture changed there in recent years? You know, I’ve been quite nostalgic of late… Thinking about just that – what a trip it’s been growing up as a Swedish surfer and observing the changes over time. I mean when I started at around 14, I was using double wetsuits, dishwashing gloves, wool and a lot of duck-tape whilst checking swells and vague weather reports using teletext on the TV. 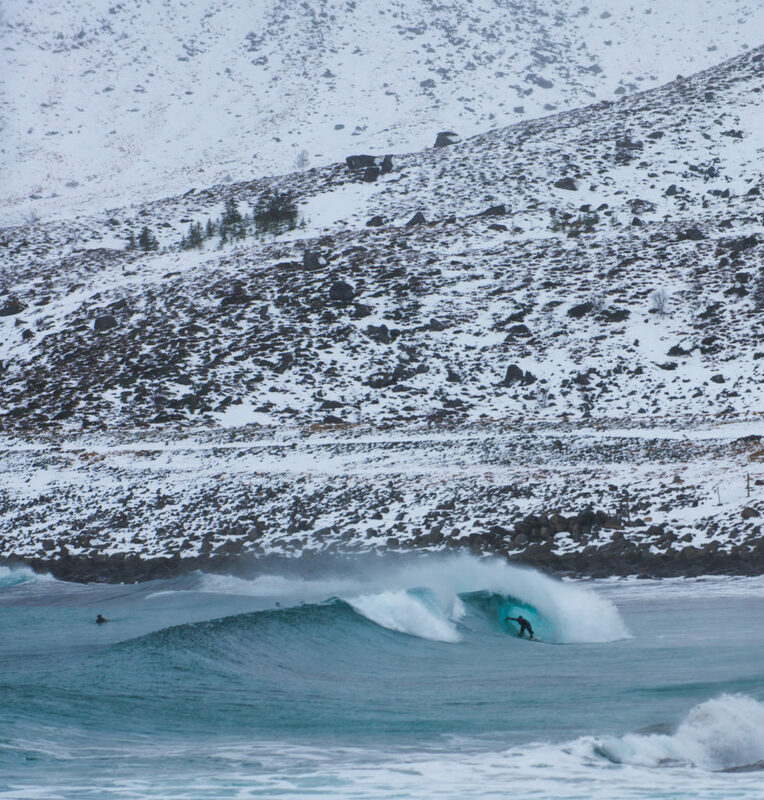 We now have the gear that enables us to spend hours surfing in midwinter, which is quite the feat up here. Plus, you can time your surfs perfectly with all the weather sites that exist. So for us – I’d say the change has been mostly positive. What are the waves like in Sweden? 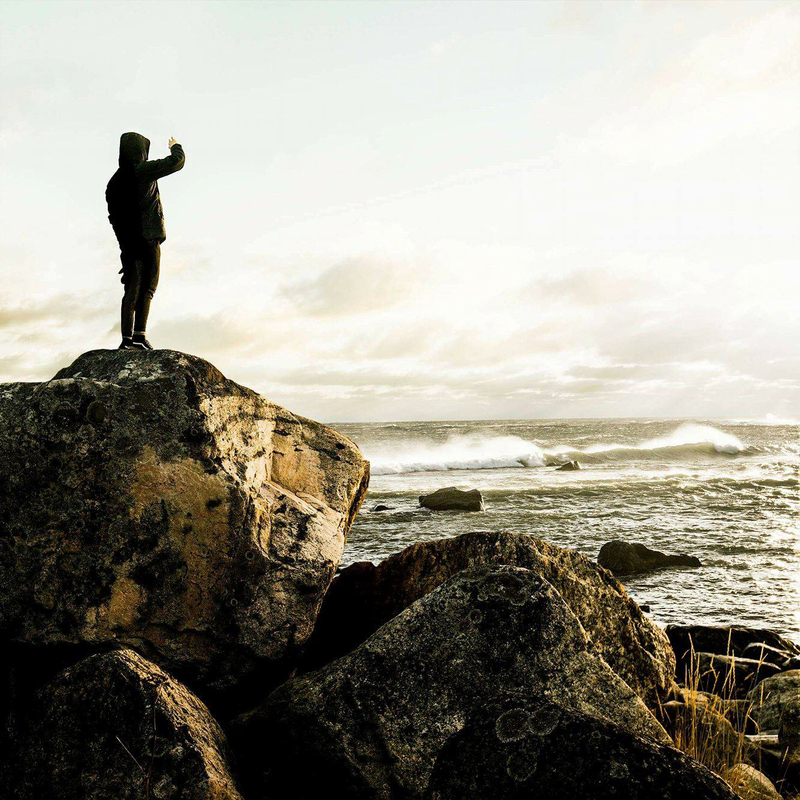 The Swedish coastline is made for surfing – however minus the groundswell. Countless bays, points, islands, outer reefs and slabs that would be world class if exposed to real ocean swell. Lucky for us the Baltic is small but violent, and throughout autumn and winter can produce short but decent swells quite regularly. On a good day, one would be happy with the power and quality of our waves wherever you found them in the world. However it’s usually stormy, onshore, weak and all for the sake of getting in the water and staying savvy. How hard is it tuning your high performance game in inconsistent waves and wearing all that rubber? It’s a challenge to improve or even upkeep a certain level in these waters. Its the irregularity of quality surf that gets in the way. And the lack of daylight… The best swells are always during the hours of darkness here which can drive one slightly crazy. But somehow those epic days you wait patiently for here make me happier than surfing anywhere else. I have a lot of admiration for my fellow year round Swedish surfers, as it’s harsh up here and takes plenty of commitment. You have to really love surfing and I feel that is the most obvious aspect in our surf scene – how much we love to surf. Especially at home, and we’re willing do to what it takes to be there when its on. I’d say your average swede drives 1-2 hours for mediocre surf with 6 hour missions not being unusual. 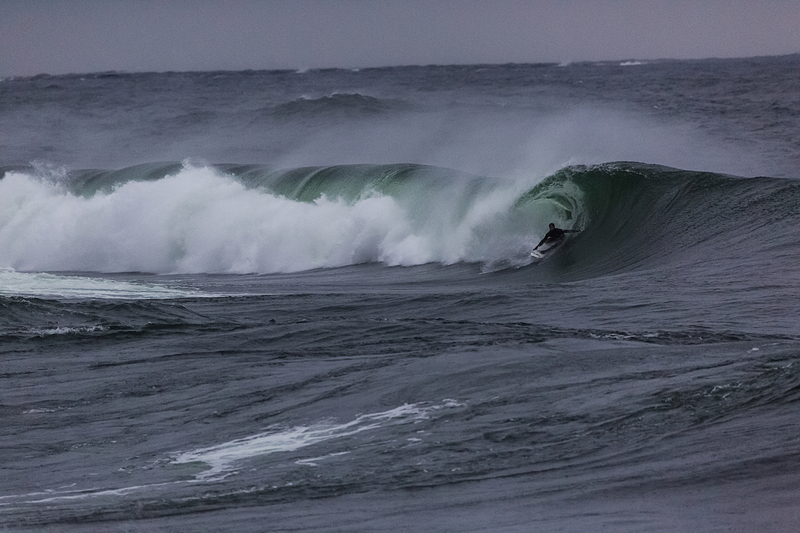 Another aspect of our scene that I love is the variety of surfing happening at any given spot. You have so many different shapes being ridden and everyone takes pride in doing their own thing when it comes to their “Surfing” lifestyle. If you grow up in Huntington beach, or Byron, or Newquay, there’s a certain type of surfing handed down to you by the older generations, but if you grow up in a place where you’re one of the first generations to really make a mark, the wave riding culture can be whatever you want it to be. Does it feel like that in Sweden? I had a few people I could look up to, elders that would take me surfing and include me; some very knowledgable at the time. But surfing in Sweden was and still is so young and with so much yet to be established. Speaking for myself and I’m sure many others, I had to learn, over time, the ropes at home on my own; what boards work best in the Baltic, what directions work where… even simple stuff like where to jump in at certain spots. One would take inspirations from the outside and try to apply them at home. This has let to people shaping their own equipment and becoming specialists beyond their surfing capabilities. I mean half of Torö (Stockholms go-to break) could probably tell you more about fins than I could. And did you go about getting sponsored? Was there a clear pathway to becoming a pro surfer? The culture really is booming up here, as it is everywhere in its own way, so I’m hoping that future generations will have an easier job finding real support from local and international brands. That is why my sponsors mean so much to me. They’ve taken a risk and gone into the unknown in a sense… I mean 10 years ago, it was unheard of to make a living from surfing in Scandinavia. So they are the first companies to take that step which allows professional surfing to exist up here; I think that is admirable. Loftofen, Canada and Alaska have been pretty well covered now, where do you think are the next cold water frontiers? where would you really like to travel to that you reckon is full of amazing quality waves? The next frontiers are probably the last ones and the ones that, no matter what, won’t ever be crowded. Greenland, the various frozen islands jotted around our planet… Even the majority of Sweden and Norway’s coast lies undiscovered. It’s just such a hassle to score and maybe something you’ll make an effort for once in your life but there are very few make it a regular thing out of choice. Which I think will mean that these lonely waves will remain to be found by future generations. That could be epic for the sport and maybe has something to do with the sudden interest in colder waters… that it is here the final gems await those who seek them. Much of the remaining unchartered coastlines seem to be so vast and inaccessible, that one may require not only a knack for finding waves to get there but some hefty survival skills given the weather and seclusion during the real swell season. Do you feel like the worlds interest in cold water surfing and exploration, has opened up massive career opportunities for those outside of traditional surf zones? If you’re a surfer of high caliber and you hail from an unusual surfing country that has marketing potential than of course you can make something of it. It would be a waste not to. Especially if you do it for the right reasons! I hope and believe that in the next 10 years there could be CT surfers from the obscurest of places… Imagine an Icelandic world tour surfer! Or a Swede for that matter. “A wave we call Rán… After the Norse goddess known for capturing sailing men and bringing them to her underwater halls where they remain for eternity.